We recommend that you schedule your massage in advance whenever possible. You may schedule your massage in person or by phone through the Front Desk. Appointments are available in 1/2-hour, 1-hour, or 1-1/2-hour time periods. Each member of our staff is an experienced certified therapist selected not only for their expertise and knowledge of varying modalities but also for their ability to tune into each client’s needs. They skillfully and intuitively work to release long held tensions, joint mobility restrictions, chronic muscular pain, and reduce stress and its harmful effects. We invite you to review the profiles of our therapists and experience their varying techniques and specialties first-hand. A California State Certified Massage Therapist, Sherry has been practicing since 1978. 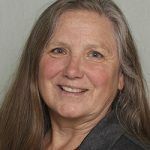 She worked extensively with physical therapy patients for 10 years and is trained in Acupressure, Orthobionomy, Cranial-Sacral, Swedish, and Sports Massage, subtle energy work, and is a Certified Bowen Therapist. She uses a blend of these modalities to create an integrated experience—a treatment customized to meet your needs and what your body responds to. Merryl is a certified massage therapist in the state of California & has been practicing since 1996. 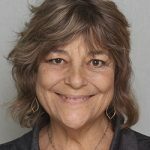 She is trained in several massage modalities, including Swedish/Esalen, Deep Tissue, Breema/Shiatsu, Connective Tissue, Prenatal, Reflexology, Gua Sha, & Aromatherapy. Merryl provides a holistic approach to massage based on the individual needs of each client, focusing on stress reduction, injury prevention, & general mind body tune ups. She looks forward to working with you & hopes to be a regular part of your maintenance plan for vibrant health. A Certified Massage Therapist, Renee has been practicing since the mid-’90s. She is trained in Swedish/Esalen, Deep Tissue, Myofascial Release, & Trigger Point techniques, which she integrates into her own unique style. With over 10 years of experience in orthopedic physical therapy clinics, chiropractic, & medical offices, Renee can address a variety of injury & rehabilitation issues. Her massages are deeply nurturing providing tension relief, deep relaxation, & an enhanced sense of well-being. 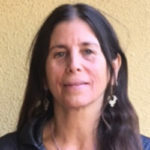 A therapist since 1986, Sandra is trained Swedish-Esalen, Deep Tissue, & Shiatsu. She is also certified in Watsu, a relaxing combination of stretching and pressure point work performed in a heated pool. 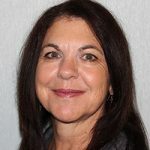 Sandra enjoys combining her skills acquired over the years, as well as various modalities, to create a unique massage tailored to each individual’s needs.